The tear drop shaped island of Sri Lanka located below India is spectacular to say the least. 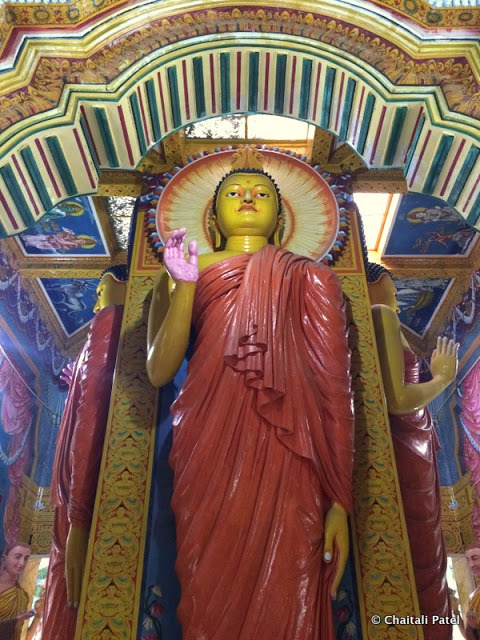 Given its strategic location, Sri Lanka was a major trading port along the ancient silk route. Ruled by the Portuguese, Dutch and British, Sri Lanka today is an interesting mix of various influences that have shaped it over hundreds of years. A 30 year civil war has left indelible scars on the people and the land, as did the 2004 Tsunami that claimed many lives. But Sri Lanka today has moved on and embraced the future like none other. Blessed with abundant natural beauty and with one of the friendliest people in the sub continent, Sri Lanka is a traveller’s paradise. You can traverse the length and breadth of the country and go from pristine beaches with hidden coves, to idyllic tea plantations where you can easily loose track of time, sit with the monks and discover the many hidden secrets of ancient Sri Lanka, or shop till you literally drop in Colombo, all in a matter of a few days. There are many amazing experiences that you can look to have as a traveller in Sri Lanka, and here are my top picks. 1. Stunning beaches – Most island countries are blessed with a long coastline and Sri Lanka is no different. The beaches of the West and South are the most popular with visitors to the country. Choose to stay in one of the many fabulously luxurious hotels that dot the coast and enjoy their private beach access or instead find your spot under a beach umbrella in one of the many popular beaches like Unawatuna, Hikkaduwa, Weligama, Mirissa and Tangalla. If you looking for hidden gems, head to the East coast, where you can find crystal clear waters, mesmerizing fine sand and swaying palm fringed beaches. 2. Bountiful wildlife – Set out on a journey to spot leopards in Yala National Park, considered to be one of the best places in the world to spot the elusive big cat or head to Uda Walawe National Park, where close to 500 elephants roam. If you plan your visit you can go whale watching in Mirissa from November to April and around Trincomalee from June to October. 3. Discover ancient Sri Lanka – One of the few countries in the world where Buddhism is the dominant religion, the ancient cities of Anuradhapura, Polonnaruwa, Dambulla and Sigiriya bear testament to the glory of the Sinhalese civilization. 4. Hill country – Hills are not what you would go expecting on an island country, but the hillsides of Sri Lanka won’t disappoint. Kandy the stronghold of the Sinhalese dynasty is the perfect place to explore the distinctive Sinhalese architecture, music and dance. While Nuwara Eliya is picture postcard hill country, complete with rugged peaks, floating clouds, manicured tea plantations and stunning views. 5. 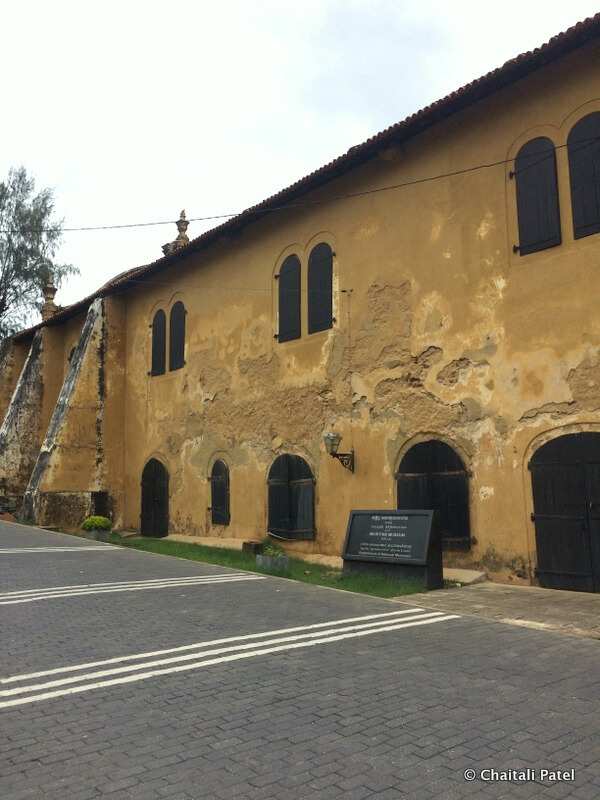 Delve into the countries rich colonial past – Ruled by the Portuguese, Dutch and British, Sri Lanka has a rich colonial history and Galle on the Southern coast of the country is a fabulous reminder of those times. Located on the Southern coast of the island, Galle Fort with its impressive bastions is a place to lose yourself in. Once inside be ready to experience a wonderfully preserved colonial town complete with cobbled pathways, Dutch period villas, imposing churches and an atmosphere that is far removed from the city that lies outside the ramparts. 6. Push your limits – Surfers flock to Sri Lanka to tame the feisty Indian ocean and Arugam Bay in the East is said to be comparable to some of the best surf spots in the world. There are plenty of options to go deep sea diving and explore the island’s rich marine life. But if you would really like to dive into the past, quite literally, try your hand at wreak diving around one of the many magnificent ships that lie on the bed of Indian ocean. 7. Tantalise your tastebuds – To begin with food in Sri Lanka is very similar yet vastly different from the food found in the Southern part of India (most people think its the same). Both have many common ingredients and an occasional common dish, but that’s where the similarity ends. Curry and rice a staple across the country like the name suggests consists of a variety of vegetarian and meat dishes served with rice and pappadum. Hoppers (similar to a crispy savory pancake) of various kinds are the most popular breakfast in the country. Plain or served with egg, hoppers are eaten with a variety of sambols and curries. Buffalo curd with treacle syrup is a must have dessert on the island for its simplicity and amazing texture and flavor. 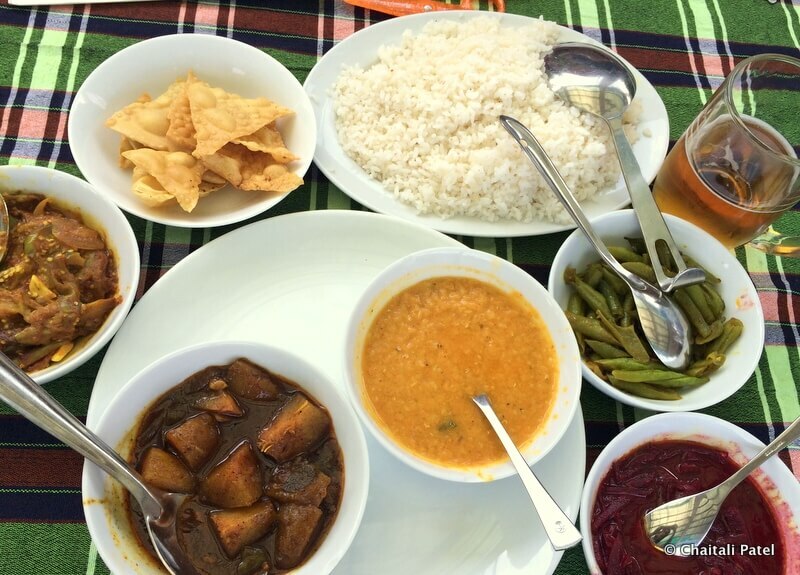 The food in Sri Lanka won’t disappoint but just be ready to feel fire in your mouth, because the locals really can eat some spice! 8. Shop till you drop – One of the biggest exporters of garments in Asia, make sure you go to Sri Lanka with ample space in your luggage for the country is famous for top quality ready made garments, gems, stone ware and tea. Odel – the country first department store features on every shopper’s list. I find stilt fishermen so fascinating that I think I'll visit Srilanka only for them. I heard they demand money for photos? And shopping is a new for me! I always thought Thailand, Malaysia are the best for shopping in this part of the world. Thanks for visiting my blog and leaving a comment Amitabha! These fisherman do charge usually… the first place that we stopped at to take picture had a bus load of Chinese tourists and so the fisherman were acting pricey. We moved ahead and found this bunch – who didn't ask for a penny. Sri Lanka unlike Thailand and Malaysia is not a great place to buy big brands, but the local stuff that gets exported to most of these big names anyway. Great post.. Very nicely described..Have shared it on twitter as well..Cheers! That is a nice list of things to experience in the emerald island. That is a good coverage Chaitali. You should Roohi, I am sure you won't be disappointed. Let me know if you need any help to plan your trip. Thanks Arun, that's very nice of you! Thanks Niranjan, yes its amazing how much Sri Lanka packs in given its size! 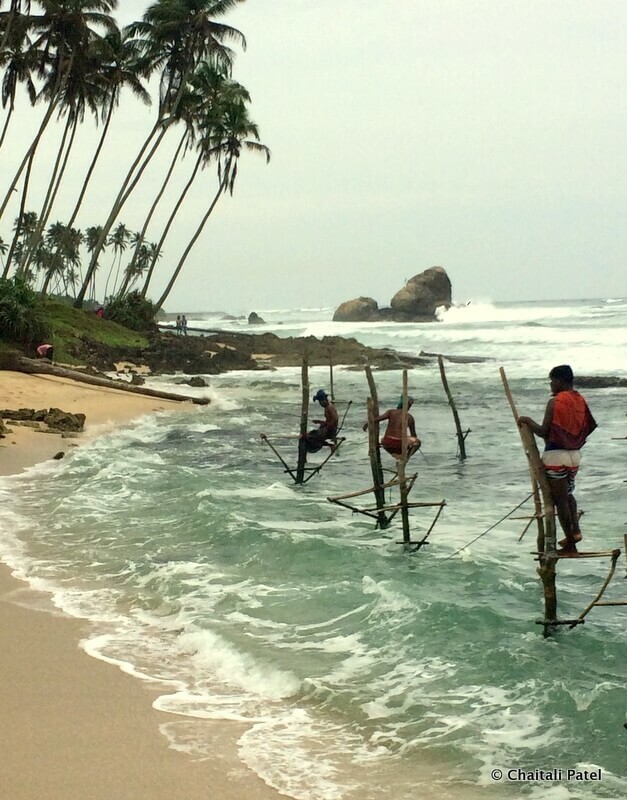 I have been to Unawatuna and Mirissa 😀 Seen the fishermen too. They let you click pictures only if you offer money. But I still enjoyed the experience. We got lucky Mridula… found this bunch who did not ask for money! Very detailed information. Loved the Buddha snap. And the cuisine looks particularly intriguing and yummy!